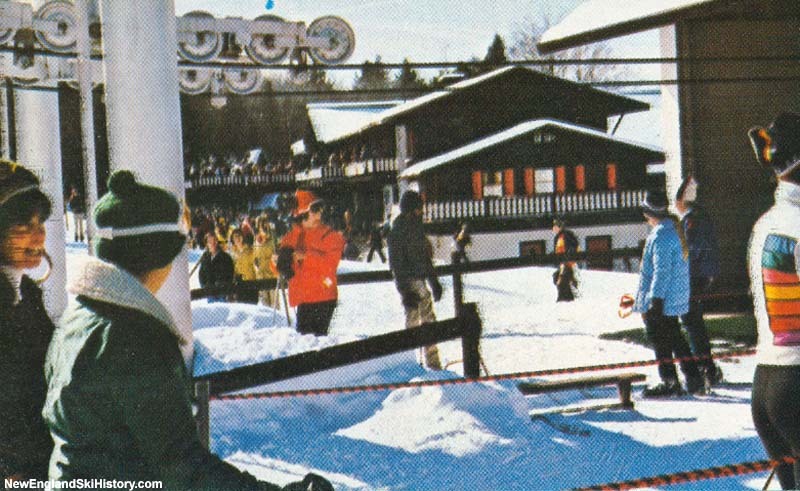 After about a decade of operation, Magic Mountain expanded significantly for the 1971-72 season by installing a new Heron-Poma double chairlift. 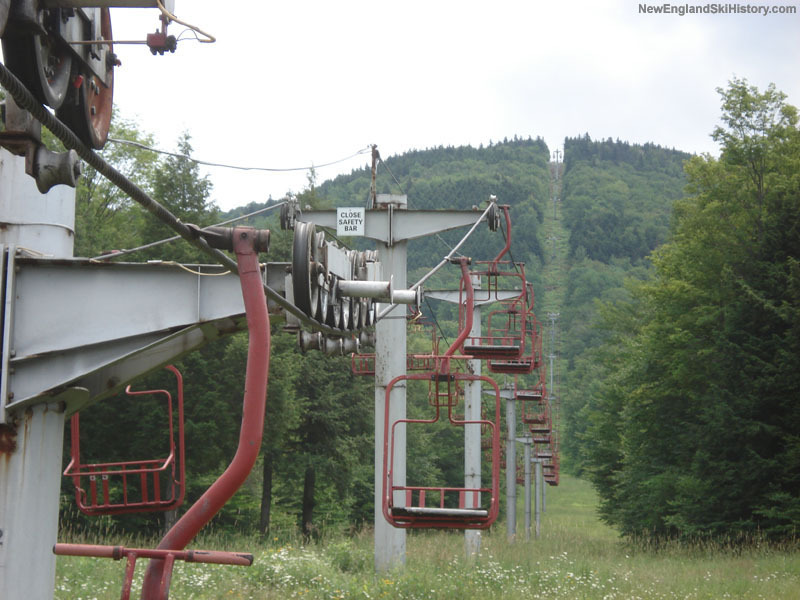 Now known as the Red Chair, the new lift climbed 1,500 vertical feet, starting slightly below and ending slightly above the existing Blue Chair. 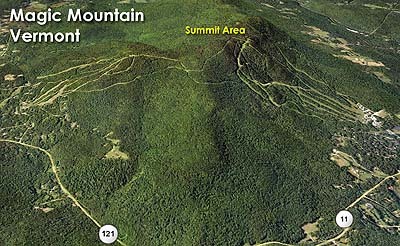 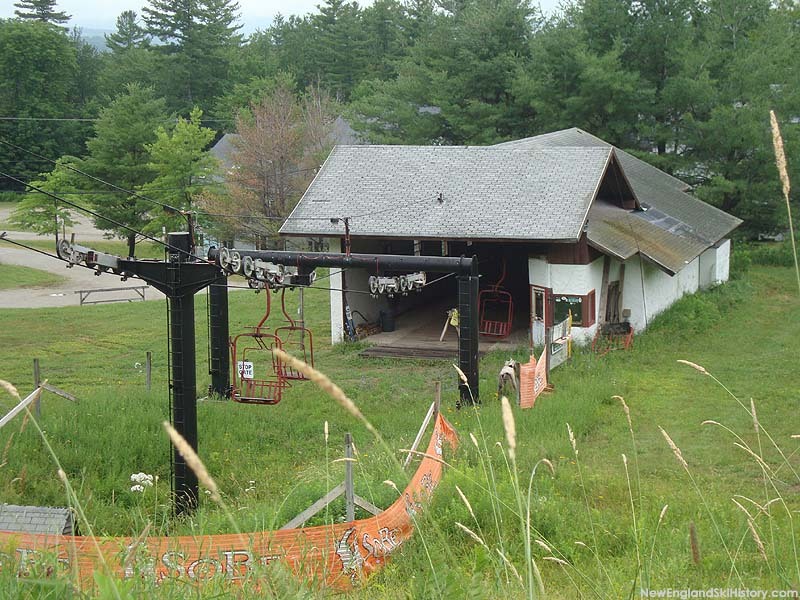 In addition to the new chairlift, 4 trails were added. 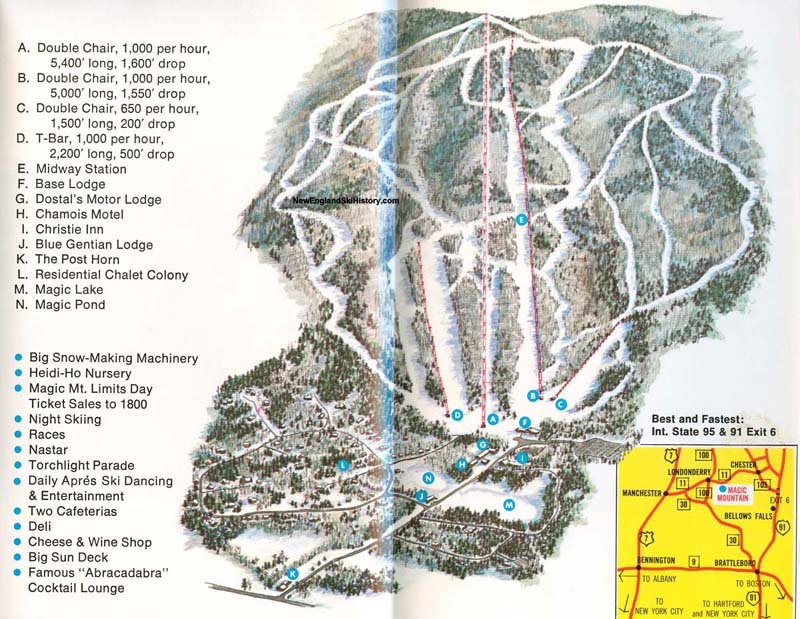 With the increased uphill capacity, the daily lift ticket limit was increased from 1,500 to 1,800 people.